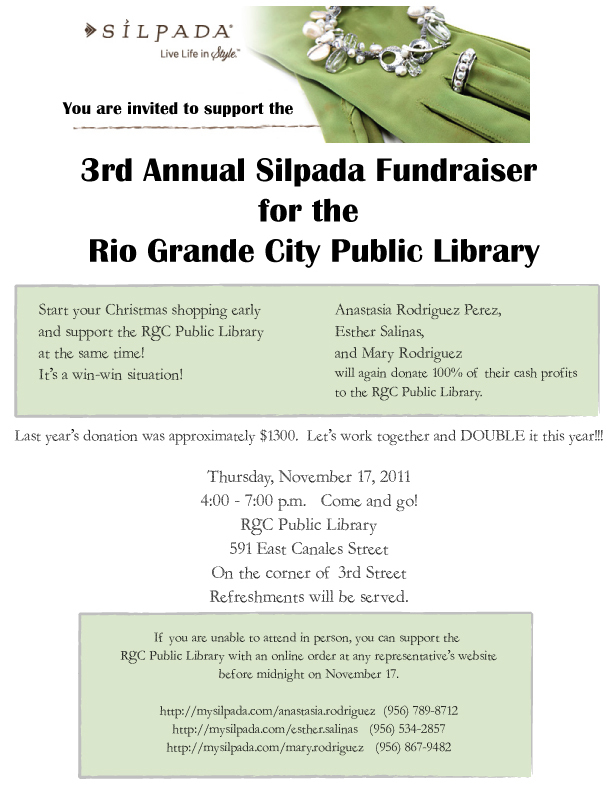 Start your Christmas shopping early and benefit the Rio Grande City Public Library. Please join us for the third annual Silpada Jewelry fundraiser from 4:00pm to 7:00pm on Thursday, November 17. Silpada reps Mary Rodriguez, Anastasia Rodriguez Perez and Esther Salinas, will donate 100% of their cash profits from jewelry sales to the library.